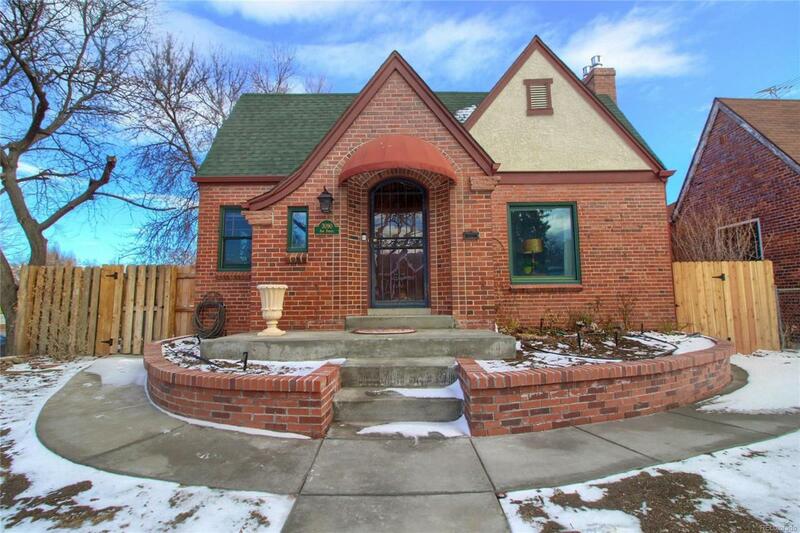 Located in the lovely Park hill neighborhood this charming 1938, meticulously cared for, all Brick Tudor, offers a spacious 2,623 square foot 4-bedroom, 2 bath with additional full office space. With character at every turn, this Tudor is highlighted with a tastefully updated kitchen, new hard wood floors and recently remodeled bathrooms. This home is perfectly lit with natural sunlight and updated light fixtures to enhance the early 20th century feel. A detached 2 car garage offers more parking with newly poured concrete in the back to ensure family/guests can comfortably park additional cars. A Finished basement with 1,275 square ft of new carpet, fire place inserts, egress windows and bar make entertaining a breeze. Other upgrades include a new sprinkler/drip system in the front and back yard, newer hot water heater, newer HV/AC, brand new electrical panel and all of this just minutes away from City Park, Denver Zoo, Museum of Nature & Science, I-70 and Downtown Denver.